4minute unveiled a teaser image for its upcoming new album. On March 7, Cube Entertainment revealed the photo through its official twitter account with the comments, "20130317 4minute is back." In front of merry-go-round, the members posed for the camera, embracing each other. They caught people's eyes by showing off their striking good looks. 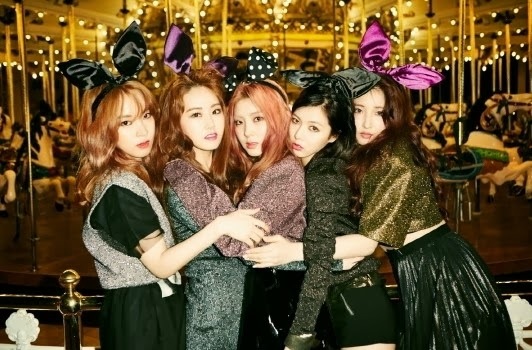 4minute, the five-member girl group comprised of Hyuna, Nam Ji Hyun, Heo Ga Yoon, Kwon So Hyun and Jeon Ji Yoon, will release its 5th mini album '4minute World' on March 17. The title track is composed and written by hit maker Brave Brothers.